January 21, 2014  The "drive hunt" by fishermen in one village is "a form of traditional fishing," a government spokesman says. 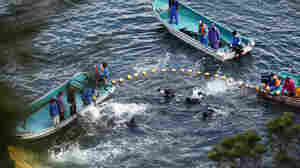 Dolphins are trapped. Some are selected for sale to marine parks. Others are killed for meat. Thirty died Tuesday. 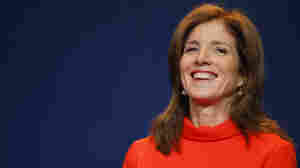 Caroline Kennedy, the new U.S. ambassador, called the practice inhumane.